Introducing The Uncle Bubble Mega Loop Bubble Maker…Plus A Giveaway! Is there anything that children like more than bubbles, even since I can remember they have loved bubbles. Blowing them, chasing after them it always brings out the biggest giggles. 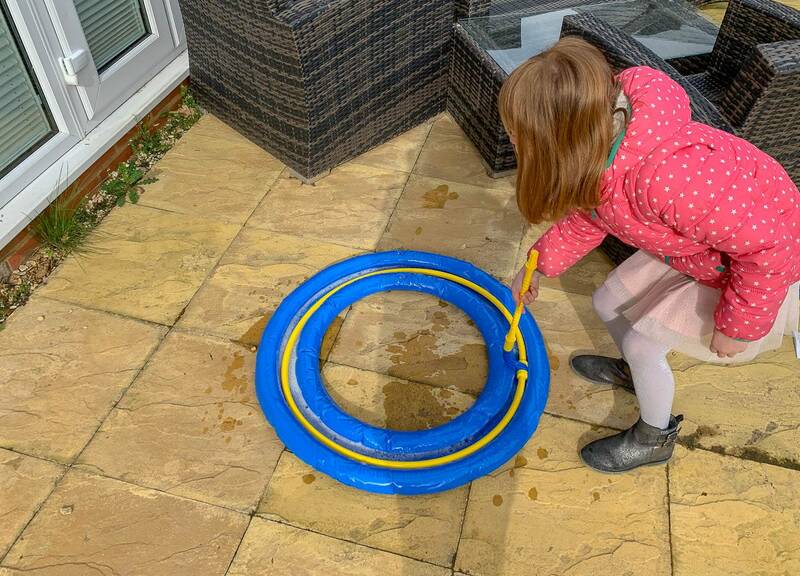 We were recently sent the Uncle Bubble Mega Loop Bubble Maker and it looked great fun now the girls are older. You’re able to make bubbles bigger than you and put your friends inside the bubble. How amazing does that sound. We’ve been waiting for the rain to stop to try and go outside to have a go, but the weather hasn’t been that kind to us. We had a quick break in the rain yesterday and we went outside to see if we could have a try. 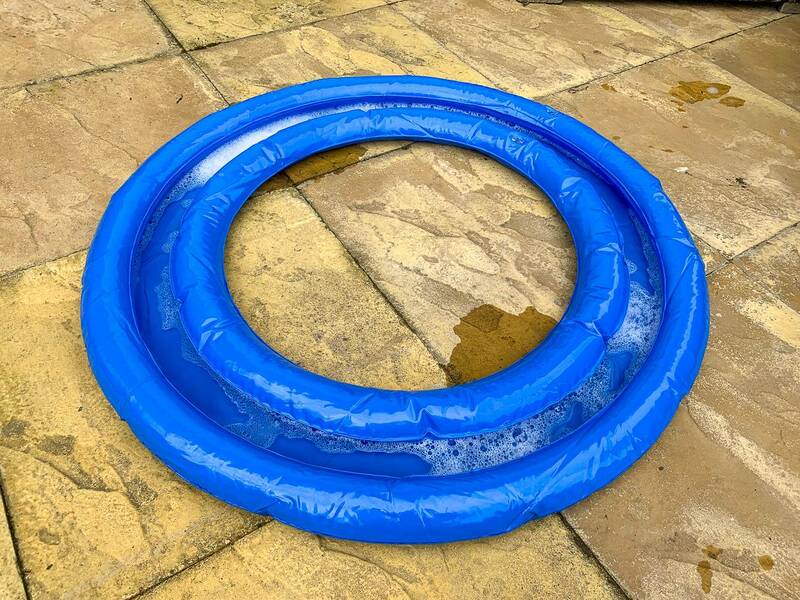 You have a blue inflatable ring that you need to blow up first, I was able to do this myself and it inflated easily and quickly. You then pour the bubble mixture into the ring. Making sure you have 1 part bubble mixture to 10 parts, clean cold water. Don’t be tempted to add more bubble mixture, as that doesn’t mean more bubbles! You then take the yellow hoop and attach the handle to it. 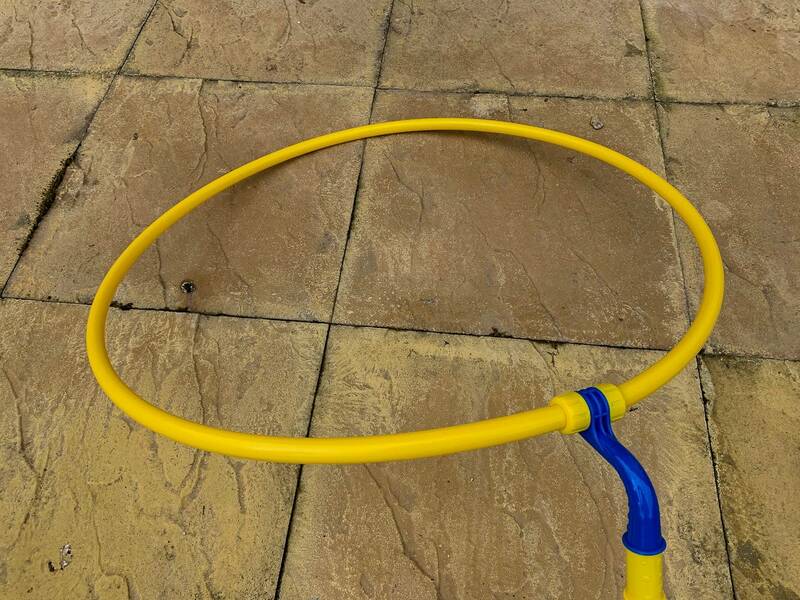 You remove the clear ends and then screw the handle onto each end of the hoop, this again was easy to do and we were then ready to make some bubbles. I’ll be honest this wasn’t that easy to do and we didn’t make the giant bubbles that you see in the video. I’m not sure if it was because it was windy, or we didn’t quite get the mixture right. But with raining coming again, we weren’t able to try again. Alice still enjoyed the bubbles she could create and we are even more excited for the sunny weather to come so we an go back out and try again. Alice is desperate to be inside the bubble! 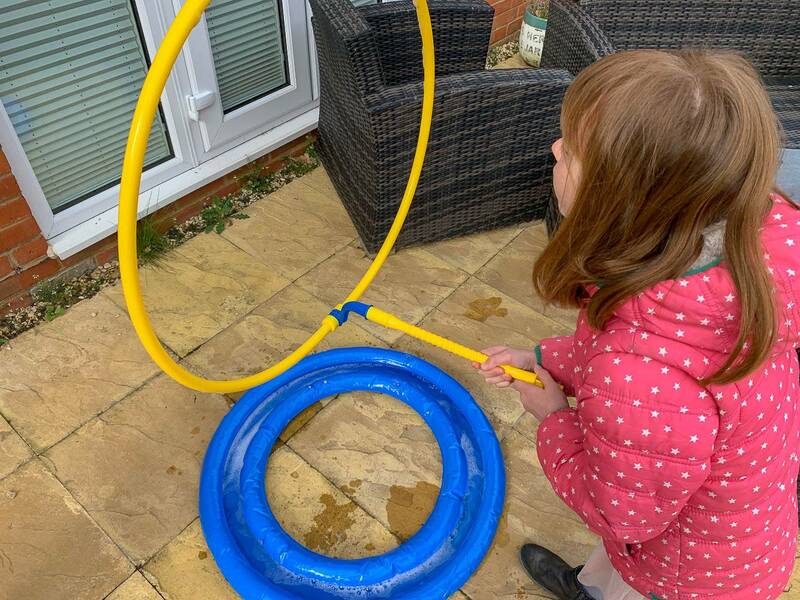 You can buy the Uncle Bubble Mega Loop Bubble Maker from Amazon, priced at £29.99. I have a great giveaway for one lucky reader to win an Uncle Bubble Mega Loop Bubble Maker . All you have to do to enter is head to the gleam below, it ends on 2nd May 2019. Good Luck! Previous Post: « Introducing L.O.L Surprise DIY Glitter Factory…Plus A Giveaway! This looks amazing. I already have grandchildren just waiting to try it. Roll on the good weather for good old fashioned fun outside ! !